The Ugandan authorities must end an attack on freedom of expression that has left several media outlets shut by security forces for a fifth day, Amnesty International said today after several activists were arrested for protesting against the crackdown. Armed police closed two newspapers and two radio stations on 20 May, after they reported on an alleged government plot to assassinate politicians opposed to President Yoweri Museveni’s son taking over when his father steps down. Riot police arrested five human rights activists yesterday for protesting against the closure of the Daily Monitor, the Kampala-based newspaper that first published the story earlier in May. 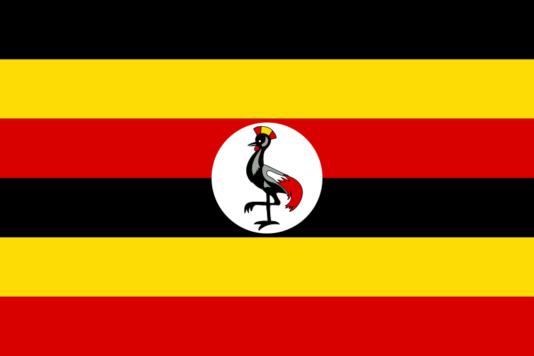 "The Ugandan authorities' desperation to control an uncomfortable political story has exposed their disregard for freedom of expression and violated the right of Ugandans to receive information," said Sarah Jackson, Amnesty International's Deputy Africa Director. "The police must immediately withdraw from the offices of all media outlets targeted in this disturbing crackdown, and allow them to go about their journalistic work." Police authorities seeking a leaked document alleging the government plot, written by Uganda's intelligence services’ coordinator General David Sejjusa, have publicly declared these media outlets "crime scenes" while they establish the source of the leak. The Daily Monitor is still unable to publish anything in print, while radio stations KFM and Dembe FM remain off the air. The Daily Monitor obtained a court order on 22 May overturning the police's search warrant, but armed officers continue to surround the sealed-off building. Five activists from Ugandan human rights organizations were arrested early yesterday evening and charged with "unlawful assembly" for protesting against the Daily Monitor's closure. They have been released on police bond and are set to face trial. "The Ugandan authorities should stop ruthlessly clamping down on journalists providing information to the public," said Sarah Jackson. "Journalists must be free to do their legitimate work and all charges against those peacefully expressing dissent must be dropped."